In an early Christmas present to the medical device industry, President Obama signed into law the Consolidated Appropriations Act of 2015, which established both a budget for the Federal fiscal year (that started October 1) and made some other changes to government policy. Among them was the delay of the implementation of the Medical Device Excise Tax originally called for in the Affordable Care Act. This tax, pegged at 2.3% of the price of the device, was often fought by those in the medical imaging, implantable device and laboratory equipment world. The delay was set for two years, allowing the tax to be reconsidered for the 2018 Federal fiscal year, starting October 1, 2017. The government scoring wonks determined that this delay was worth $3.4B over the next two years to the industry. Yes, that’s with a B – we’re talking billions. But why do I call this “decent” news? Well, it’s somewhere between ambivalent and good. So I’ll go with decent. Let me explain further. Many device manufacturers rallied against the tax suggesting that the 2.3% tax was going to stifle innovation and research. Others argued that the tax would simply be passed on to consumers (hospitals or even patients) and never really paid by the equipment manufacturers. The first is likely at best partially true and the second wouldn’t affect the market and still is the reality. So it’s hard to consider this a triumph for the industry – just decent news. If we look specifically at the market closest to my heart, medical imaging, we find that the major competitors – GE, Siemens, Philips, soon-to-be-sold Toshiba, and the like – are locked in a pretty tight battle for market supremacy. There is a constant struggle to introduce better technology at a lower price and continue to gain profitable market share. The suggestion that any of them would forgo the development of technology that provides a competitive advantage because of a US-only tax is a bit of a stretch. Would the tax cut into profit margins? Yes. Would that hurt the value of the company? Yes. But would they be willing to cut R&D to make up 2.3% of US revenue? I’m not so convinced. Is it a disincentive to further develop technology? Sure. But every tax is a disincentive on the taxed item. When aggressive companies spend 8-10% of global revenue on R&D, to cut that by enough to account for the tax would be fairly significant. 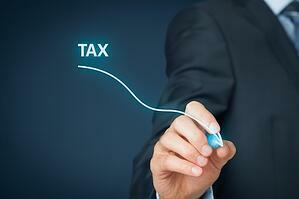 The market will likely be unchanged by the difference in taxes on the equipment manufacturer. Let’s say that the manufacturers have embedded the 2.3% in their prices – one wouldn’t expect they’d pull that money out because of the tax delay. In fact, 2.3% is well within the negotiating range that exists on all equipment. I would seldom expect a company to not be willing to decrease their price by 2.3% if they know they can “get the deal.” So it’s not like there will be a big enough price difference to either stimulate buying or stall it. Finally, what happens to the $3.4B that isn’t collected? Well, they didn’t change the underlying need for the money; they just delayed the tax as a revenue generator. So that means it will be collected from the people, sooner-or-later, one way or the other. Maybe we just add it to the debt. Maybe it comes from other taxes. The fact is that the companies get $3.4B in added margin and the American people pay $3.4B more (now or later) to allow that to happen. So for the device industry this is a win, and as part of the industry, I’ll file it as “decent” news. Kyle joined Cassling in February 2005 and was named President in 2017. Kyle holds a doctorate in Biomedical Engineering as well as business education through the Kellogg School of Management. Prior to Cassling, he worked with Siemens Healthcare's Magnetic Resonance Imaging division serving as a scientist and manager. Today, Kyle strengthens community healthcare by working with customers to ensure Cassling's offerings meet their short- and long-term goals, as well as clinical, financial and organizational needs. 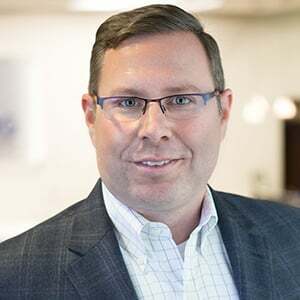 With a focus on helping customer increase quality and decrease cost, he manages Cassling's corporate strategy, advising the organization on industry direction and trends to help intelligently drive the growth, while exploring new business opportunities. Click here to request more information about Cassling's Speakers Bureau or call 800-228-5462 ext. 1117.